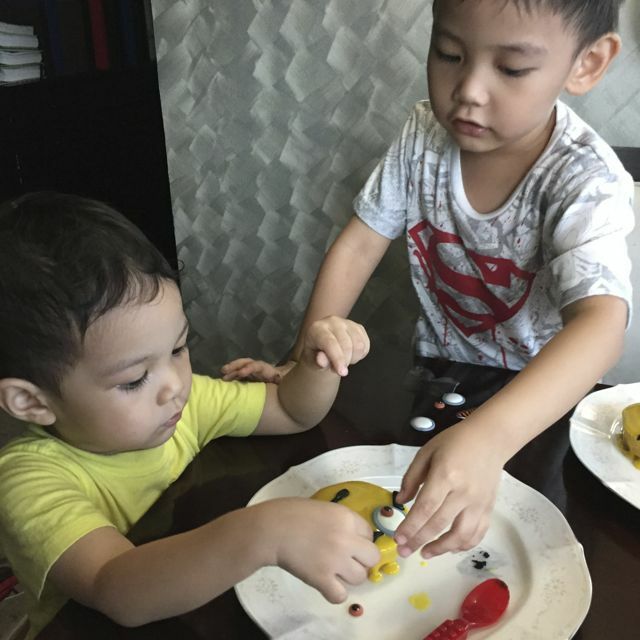 TOPAZ HORIZON: Our Minions weekend! This post is brought to you by Monde Mamon. If you're a parent of young kids, you probably have seen the Minions movie by now. I mean, really, it's like the hottest thing in kidlandia these days. 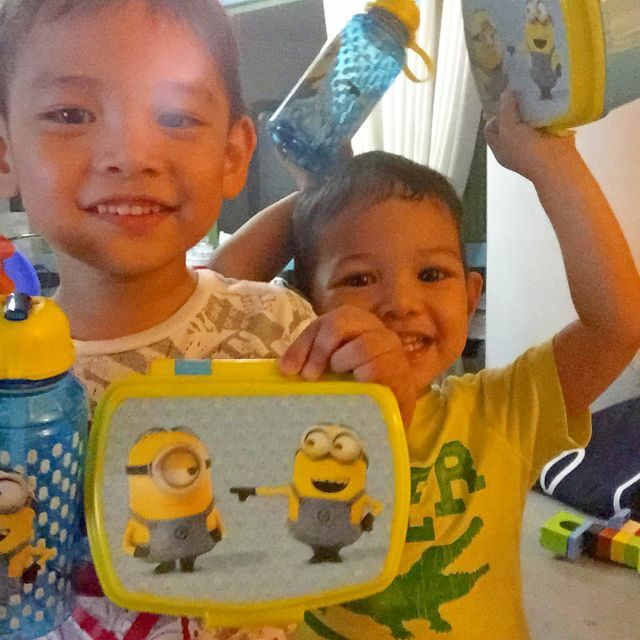 My kids, especially my second boy Iñigo, can actually speak Minionese. 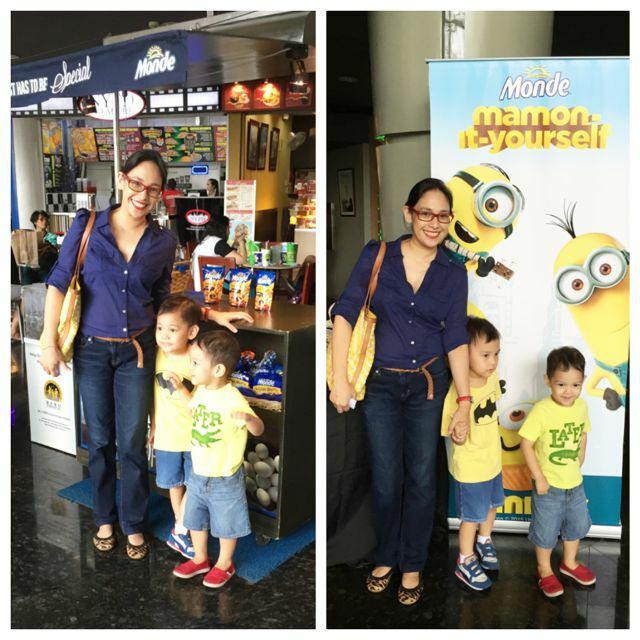 Naturally, when Monde Mamon invited my family to watch a special screening at Greenbelt, we cleared our schedule and watched the Minions movie. The movie was fun, more slapstick funny than smart funny the way the Despicable Me movies were. And we missed Gru. As a parent, I kinda worry about kiddie movies that glorify the bad guy: Wreck-It Ralph and Maleficent, for example, but they turned out to be heroes. Since Gru became a parent, he's really a good guy, which makes him a hero in my and my kids' eyes. With Minions, well, I won't spoil the ending, but because there was no real good guys here, there was no hero for my kids to look up to. I mean, sure, the Minions saved the day but they weren't heroes really. Still, the kids loved the movie, and they're too young to look for a moral (and, I'll be honest, I don't like movies with morals but that had to change when I gave birth to my own minions!) so watch Minions! Anyway, we loved the Monde snack box we all got—a pretty white box with a chocolate chip muffin and two pieces of waffles. 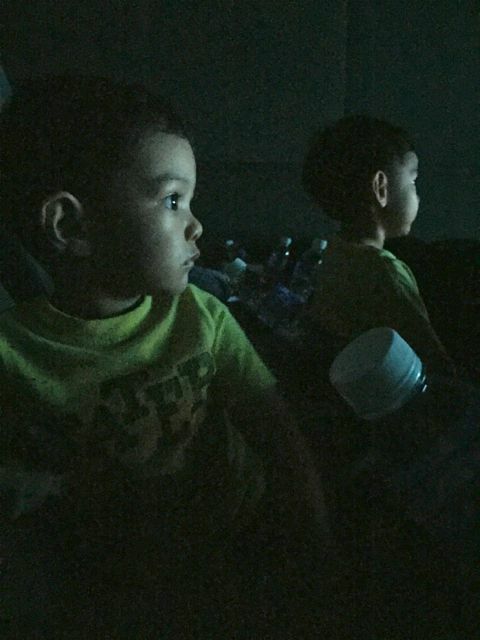 I wish I had gotten a picture but it was too dark in the theater by the time we opened our snack boxes. And we ate everything up immediately! Soooo good! 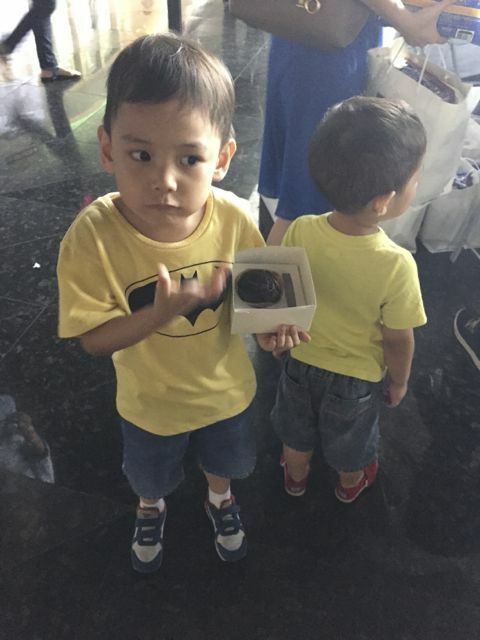 Then we brought home bags of Monde Mamon goodies and Minions lunch box and tumbler! Their favorite part of the giveaways? 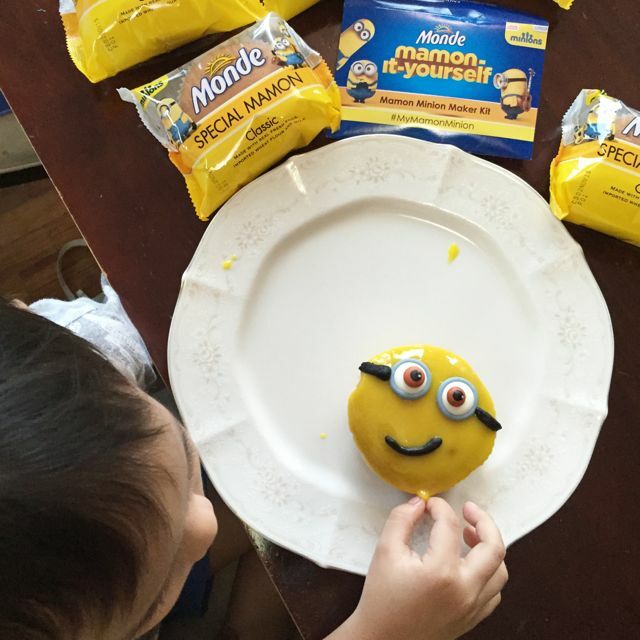 Why, the Mamon-It-Yourself Minion kit, of course! So fun! 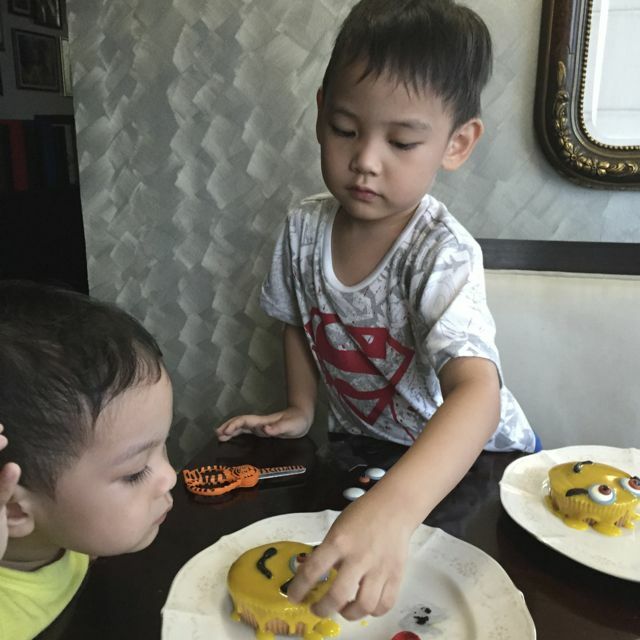 Vito ate his Minion mamon but Iñigo couldn't bear to eat his Minion because that would "kill it." 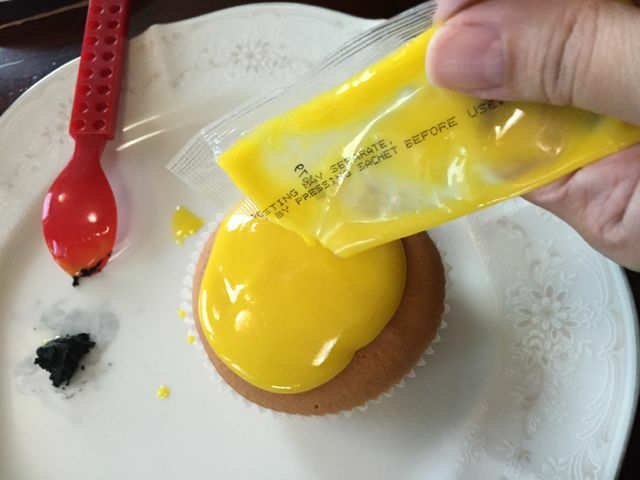 So he ate an undecorated mamon instead! 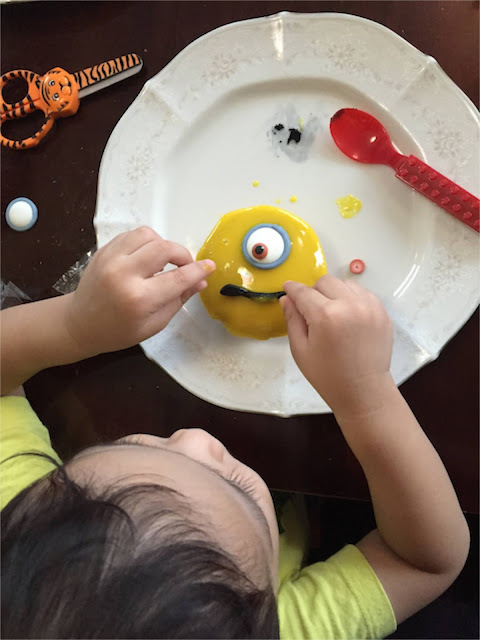 How did you enjoy the Minions movie? 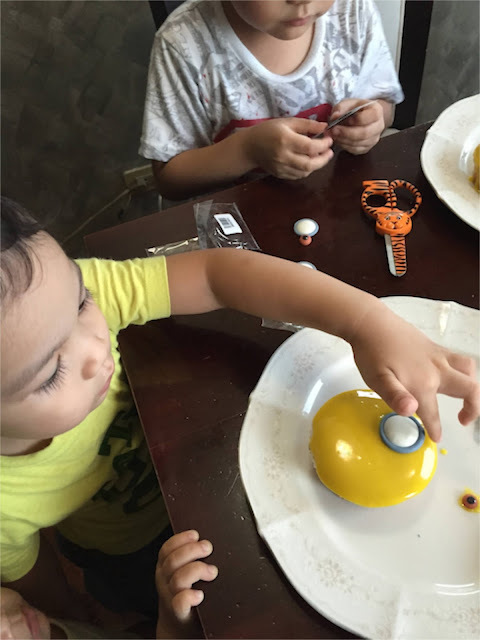 Make sure to grab some Mamon-It-Yourself Minion kits for your kids. 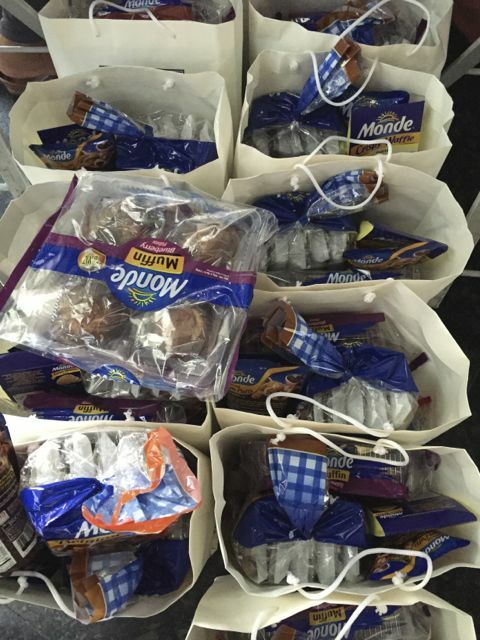 While you're at it, get also the new muffins and waffles. They're delicious especially when fresh from the oven! Happy weekend!